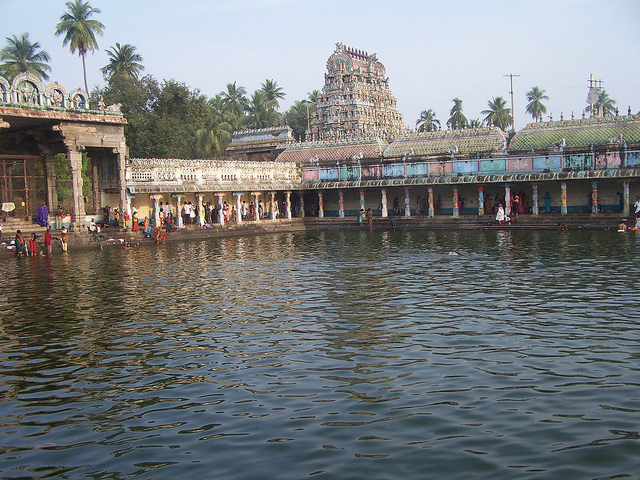 Vaitheeswaran Koil is a small town near Chidambaram in Tamil Nadu. 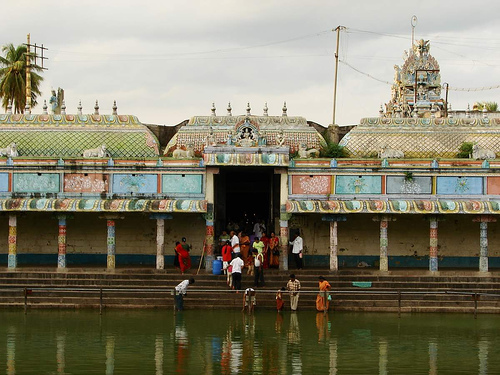 This Shivastalam is a well known, well visited shrine with towering Gopurams, hailed as one of the 9 Navagraha Stalams, sacred to Mars - Angarakan it is visited by thousands. It is located in close proximity to Sirkazhi and Chidambaram. The Singaravelar - Subramanya shrine is also of importance here. There are several literary works about this shrine. Ramalinga Adigalar has sung its praises. Tiruvenkaadu is also located near Vaideeswaran Koyil. This temple is rich in legend and tradition. There are several works in Tamil dedicated to this shrine. It was visited by Tirugnanasambandar, Appar. Arunagirinathar's Tiruppugazh hymns also speak of the glory of this shrine. So do the hymns of saints such as Kumaragurupara Swamigal and Ramalinga Adigalaar. Poems of Kaalamega Pulavar and Padikkasu Tambiran also speak of the glories of this shrine. The temple is revered by the Tevaram hymns of 7th century Saiva nayanars Tamil saint poets and is also classified as a Paadal Petra Sthalam (temple revered by the nayanars). 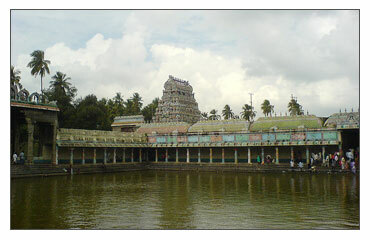 This is a vast temple with several mandapams and gopurams. The Navagrahams are in a single file as in Tiruvarur and a few other places. 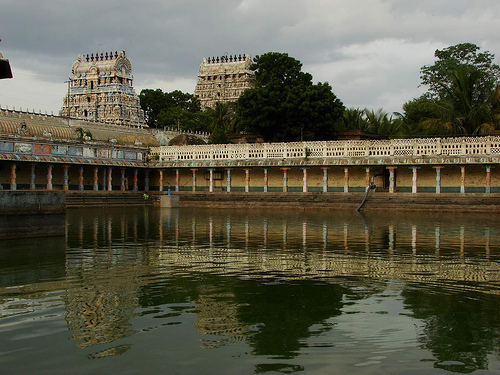 Vaidyanathaswamy and ThaiyalNayaki are the presiding deities of this temple. The Selvamuthukkumaraswamy shrine here is also considered to be of importance. There are Shivalingams said to have been worshipped by Rama, Jatayu, Skanda, Surya and Angaraka. The Dharumapuram Adhinam has made several endowments to this temple. Saraparameswarar Temple, Tirucherai, Thanjavur, T..
Aavoor Pasupatheeswarar Temple, Thanjavur , TamilN..
Araneri Appar Temple - Achaleswaram..
Araneri Appar Temple - Achaleswaram, Tiruvarur nea..